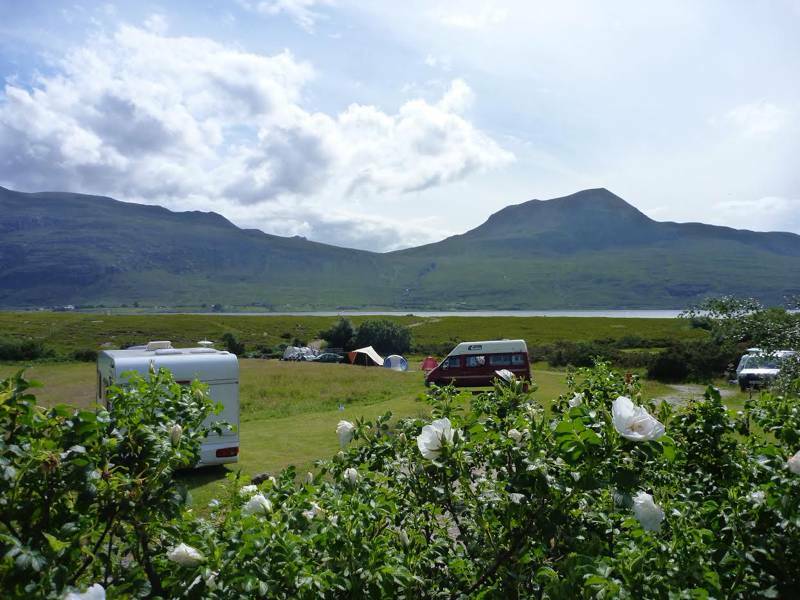 One of four pitches with Electric Hookup right in the middle of our lovely lochside campsite, with Little Loch Broom just beyond a small hillock. If you are booking for several tents/campervans, please book a pitch per unit, but feel free to pitch together when you arrive (aside from the four electic hook ups all other pitches are pitch-where-you-like. These pitches do not include fire pits, and the construction of fire pits on these pitches is strictly forbidden. You can, however, use a fire pit on a vacant pitch if there happens to be one when you are staying.